This was another brochure cover created for KAL Group. For this one, the brief was to create something 3D and geometric. So, I created an abstract background, adding shapes to the floor of the environment to reflect the shapes in the vehicle. Having looked at this sort of illustration elsewhere, I noticed that a lot of artists use a combination of 2D and 3D environment content. As vehicle photo images can be supplied at virtually any angle, it’s useful to be able to match your foreground to your vehicle accurately. 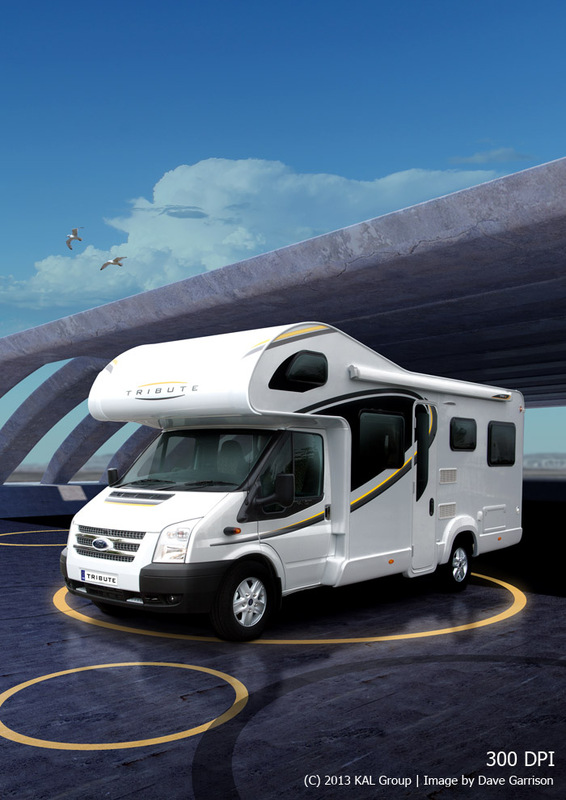 In this instance, the entire background is 3D rendered, with manual shading added to the van to make it taken on the lighting of the environment.